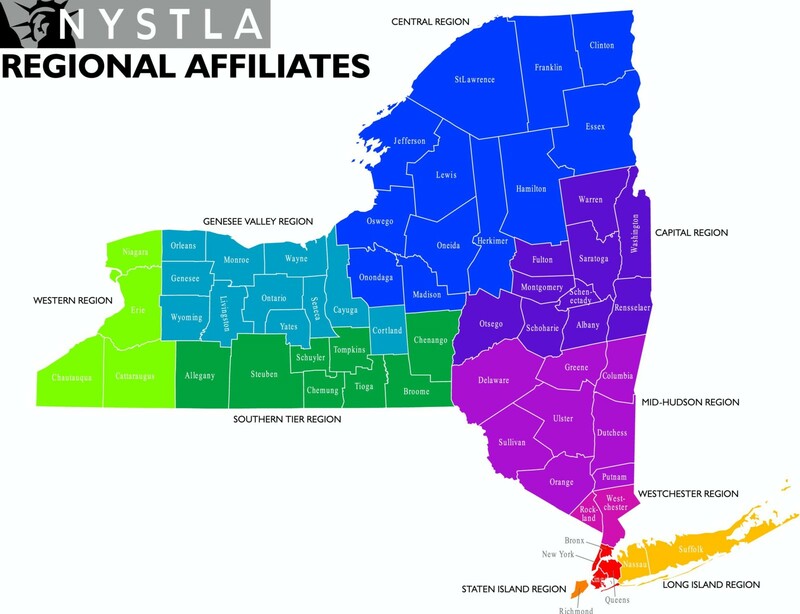 Learn more about NYSTLA chapters located across the state of New York. Check back often for affiliate news and events coming to your region. For questions about NYSTLA affiliates, please contact Nick Novak at (212) 349-5890 or nnovak@nystla.org.